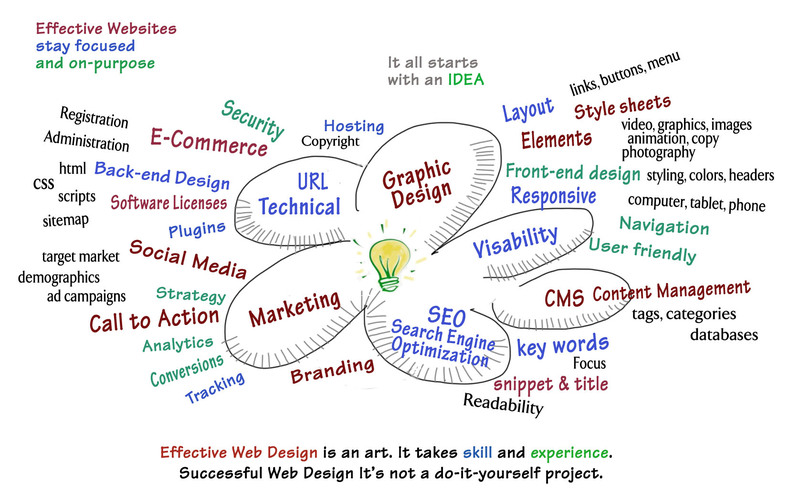 Creating and maintaining websites is by far the most complex mind-map on this site. Why? Because it is the most complex thing I do. A lot of skill and experience is required. Technology changes so rapidly what was new yesterday is obsolete today. Despite all the do-it-yourself programs on the Internet, the only way to stand out from the crowd is a custom-designed website by someone who knows how to do do it. And, that would be me!